All The Live Long Day: Halloween Giveaway Winner! We have a winner for the Halloween giveaway! 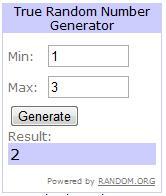 The True Random Number Generator has taken its pick and the lucky girl is commenter number 2. 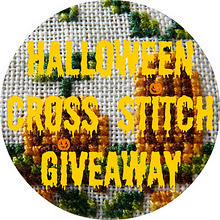 Congratulations on winning the cross stitch set, I hope you will have fun with it. Let me know your address and I will sent your prize on its way! Thanks to everybody who entered. You can find the pattern here if you would still like to give cross stitching a go! That looks like great fun, and I can almost smell the cider!